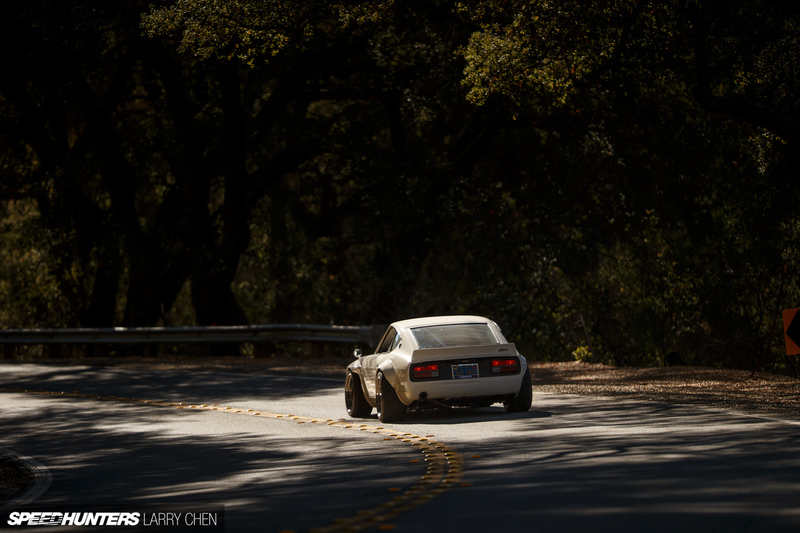 It’s pretty much always been this way too. 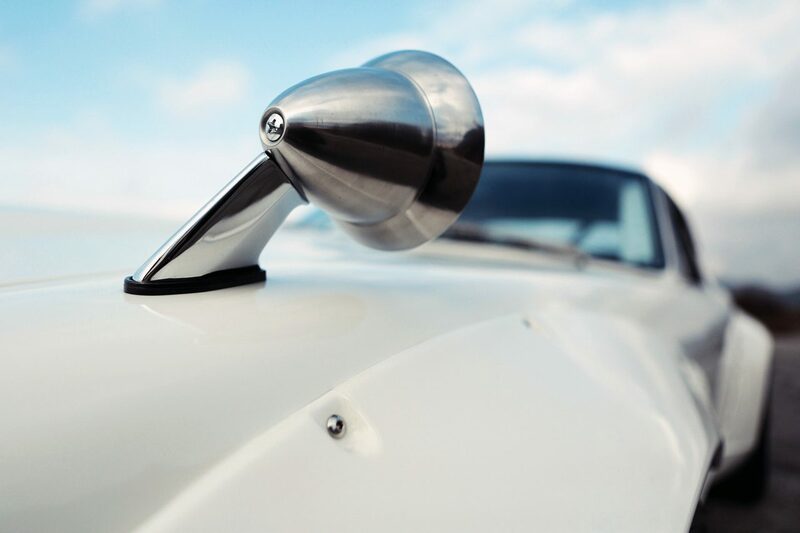 Whether it’s an actor, musician or an athlete, the garages of their mansions are often filled with high-end vehicles to match. 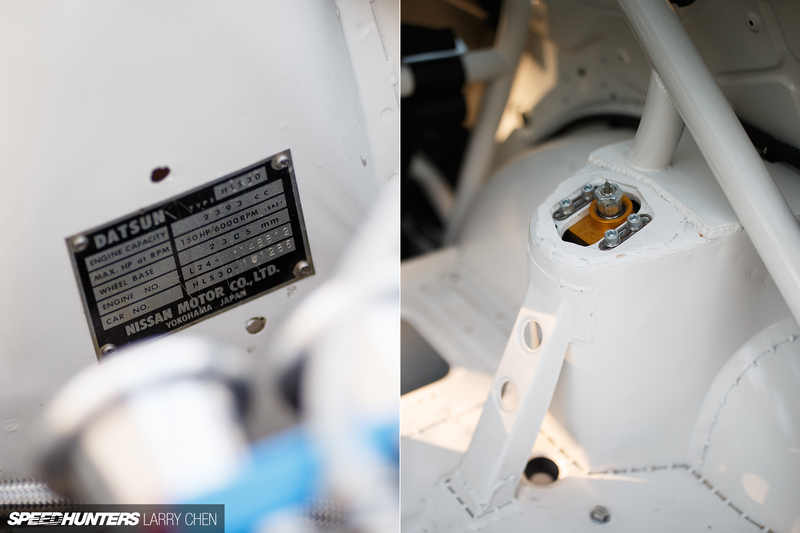 Anyone who has watched an old episode of MTV Cribscan vouch for that. 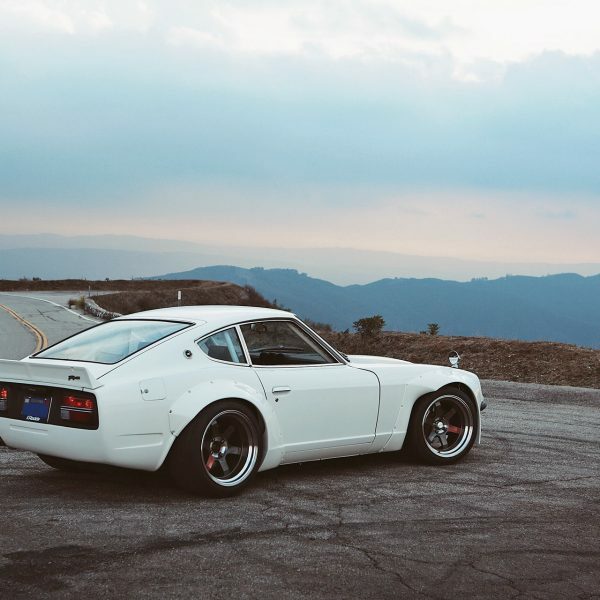 But to me there’s always been a big difference between the real car lovers and the celebrities who just buy exotic and expensive vehicles because it’s the cool thing to do – or simply because they can afford it. 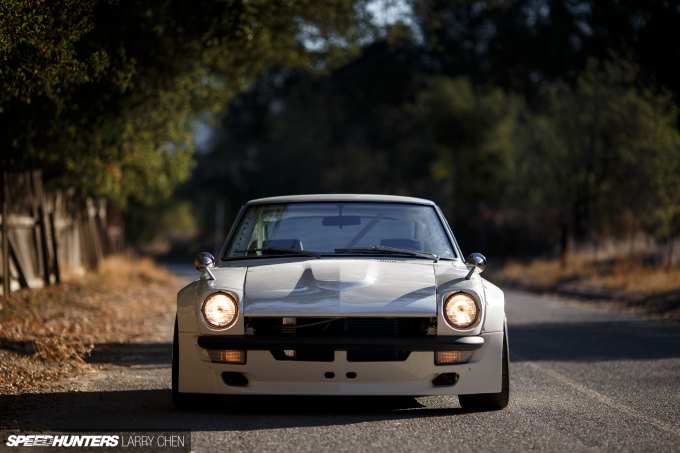 They might ownthe flashy machinery, but how many truly appreciate them from an automotive standpoint? 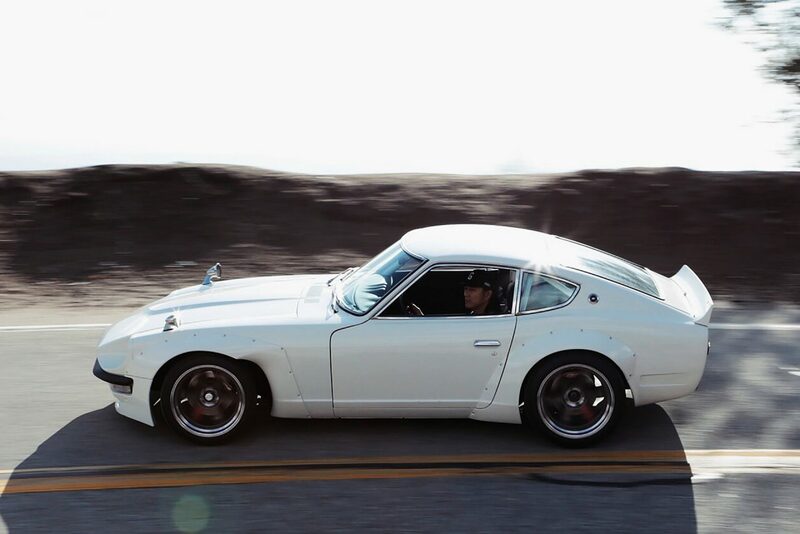 That’s why I’ve always had a lot of respect for the celebrities that are genuine car enthusiasts; the people that spend a good part of their off time, building, driving, collecting and racing automobiles. A few names that come to mind are Jay Leno, Jerry Seinfield, Adam Carolla and Patrick Dempsey. 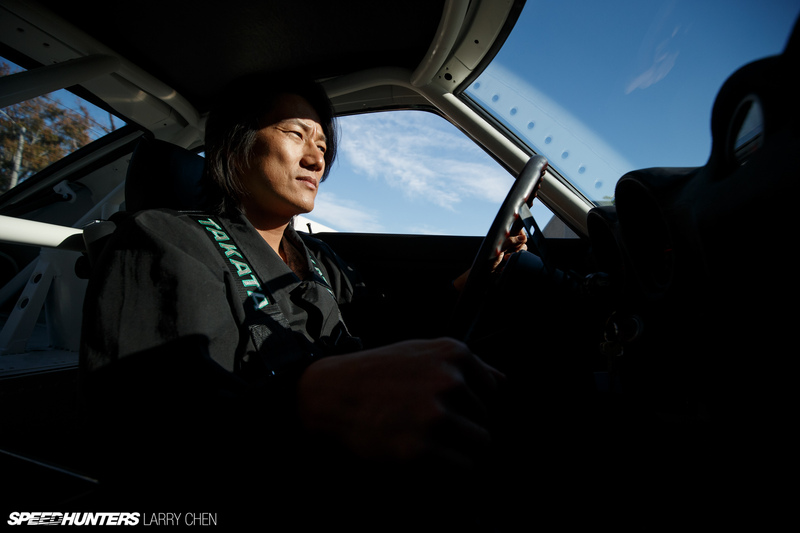 For all of them, cars represent something more than just a way to spend their earnings. 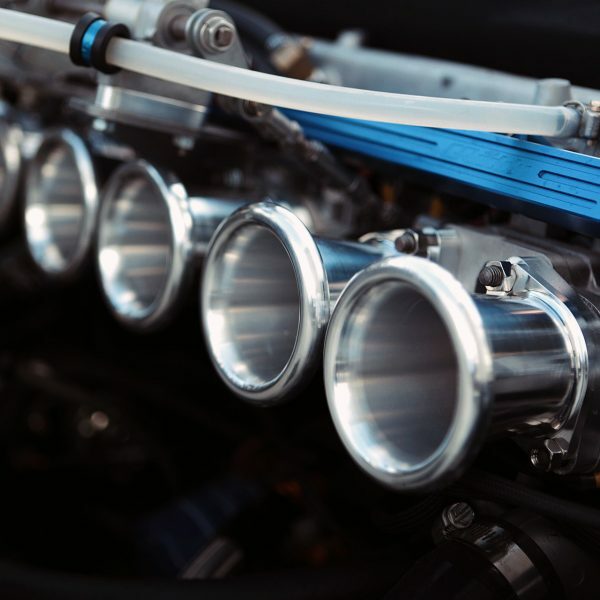 The late Paul Walker is another celebrity who was a legitimate car guy, and his love for cars added another dimension to his on-screen persona in theFast and Furious franchise. 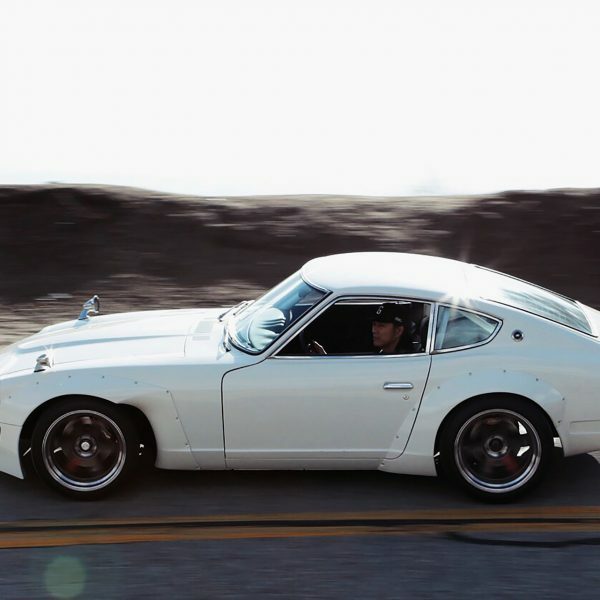 But Paul wasn’t the only member of the Fast and Furious cast whose gear-head life continued outside the movie set. 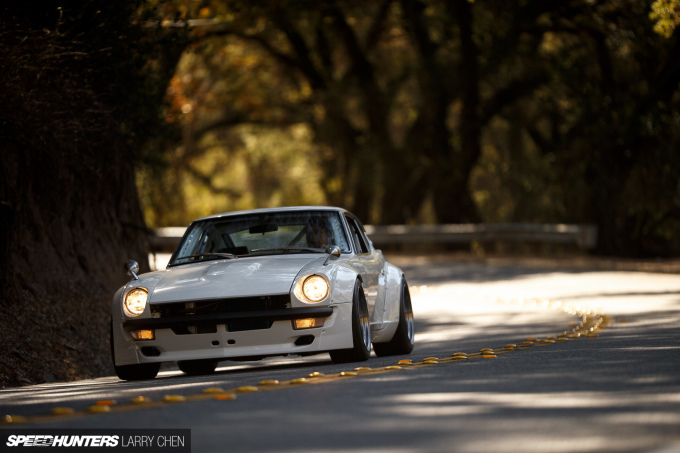 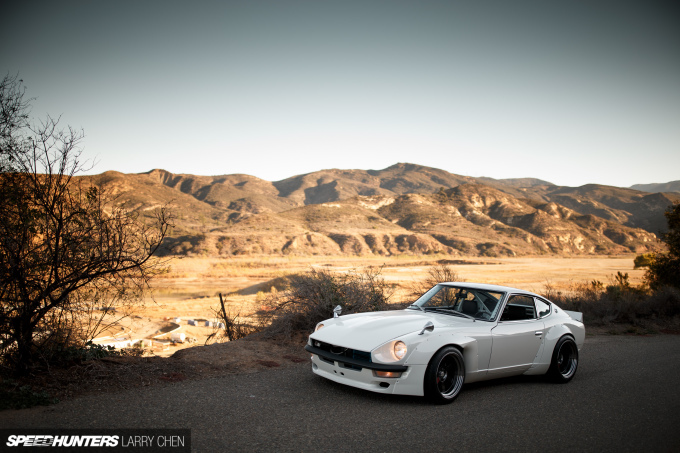 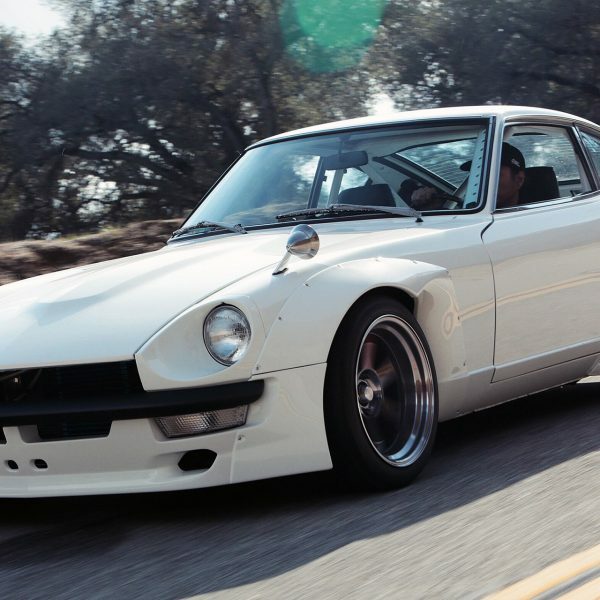 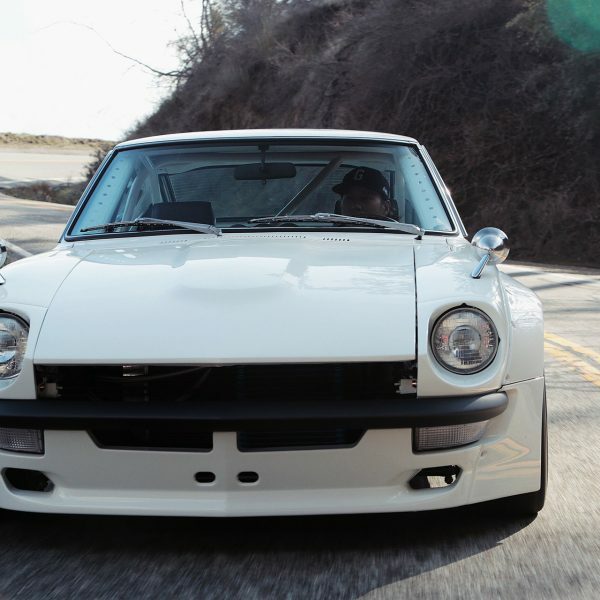 Sung Kang, the actor who portrays Han in the series, is also a serious auto enthusiast, and the world became well aware of that last fall when his 1973 Datsun 240Z better known as FuguZ made its debut at the SEMA Show in Las Vegas. 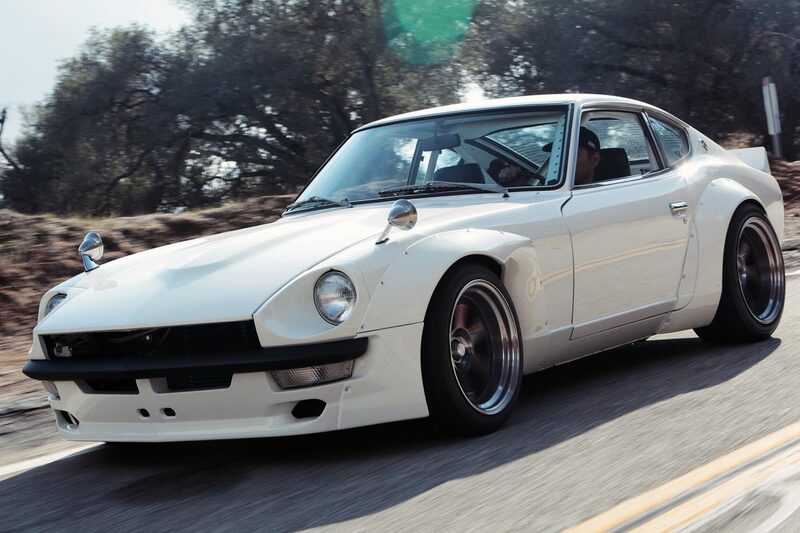 Built in partnership with the team at GReddy USA, FuguZ puts a new spin on an iconic Japanese sports car. And it’s a car that developed from a simple project among a group of friends to something much bigger and with more impact. 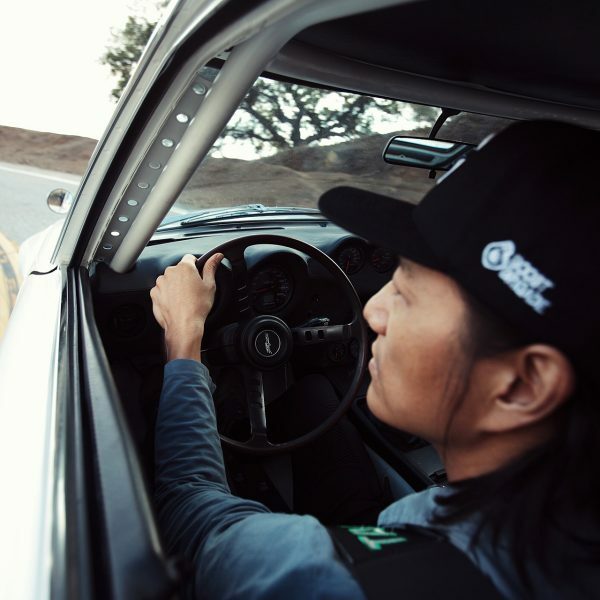 Already being a Porsche owner, Sung originally had his eye on an early 911 to build as a project to enjoy on the street and the track. 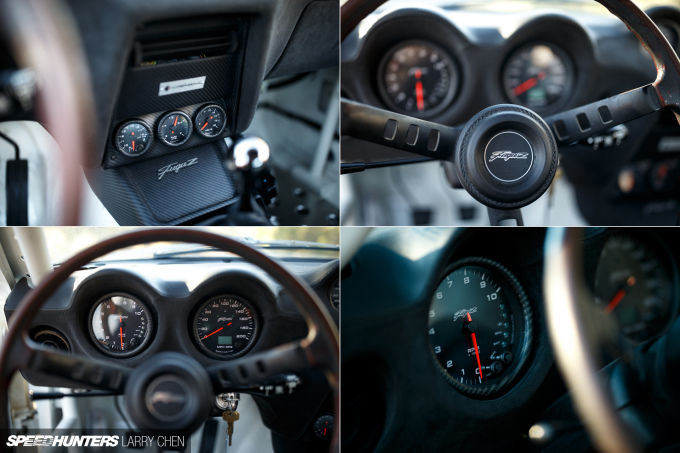 But with demand and prices for old 911s at an all-time high, he decided to switch his focus to another car that would deliver the same nostalgic feelings in a more project-friendly package. 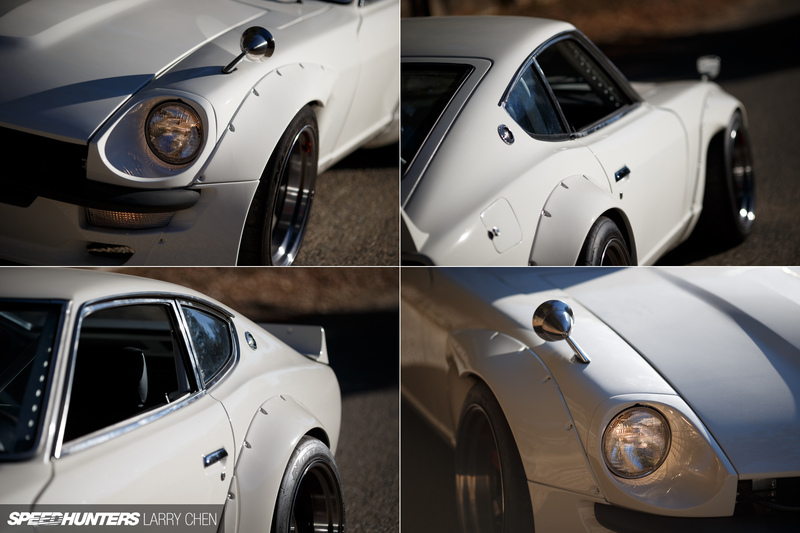 A friend suggested the early 1970s Datsun 240Z; a car which many people of Sung’s generation have fond memories of. 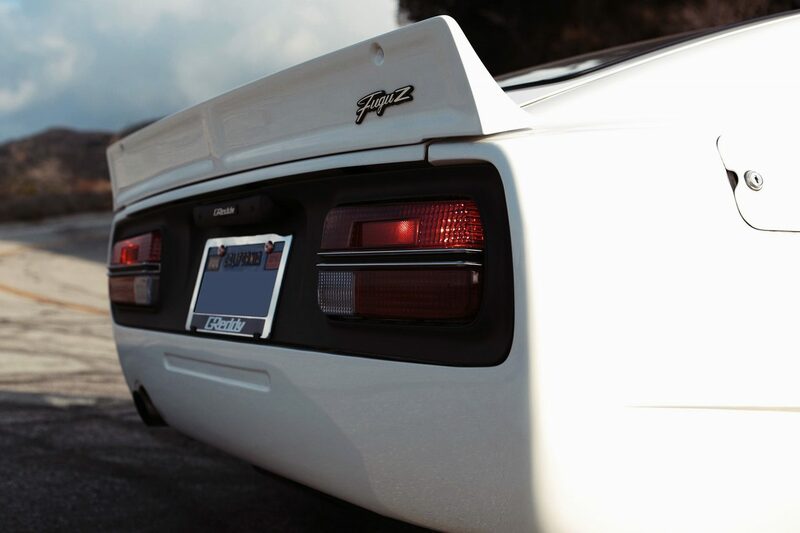 It sounded like the perfect choice. 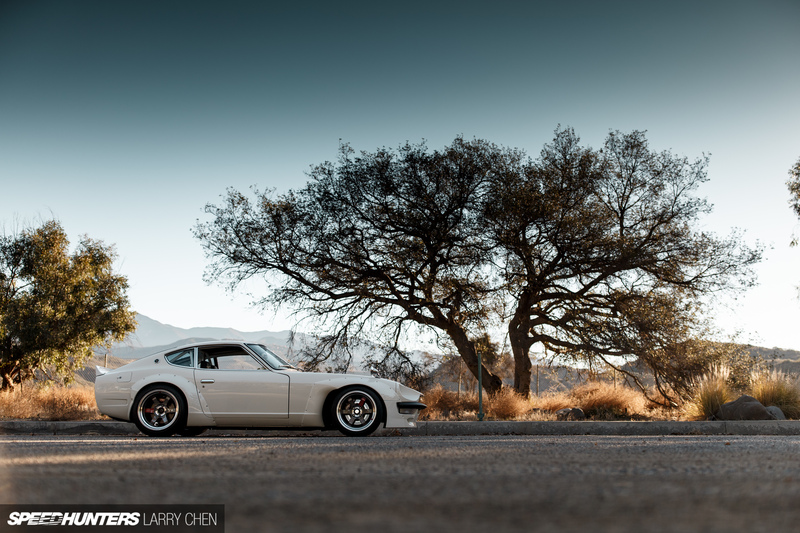 Sung found a solid ’73 Z for sale in the California desert; a driver with a straight body that would serve as a perfect base to be built whichever way he saw fit. 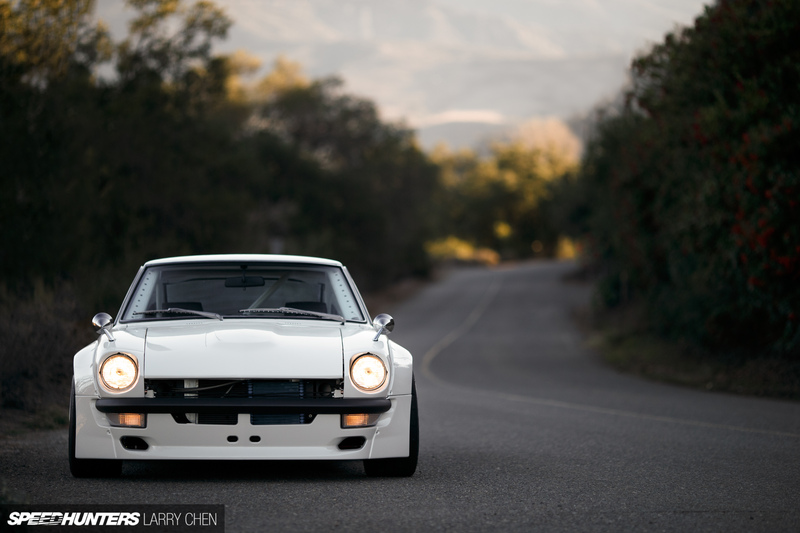 Originally his plans called for a mild project that would simply refresh the old car rather than completely transform it, but as others caught wind of the project on social media, the build quickly grew in scope. 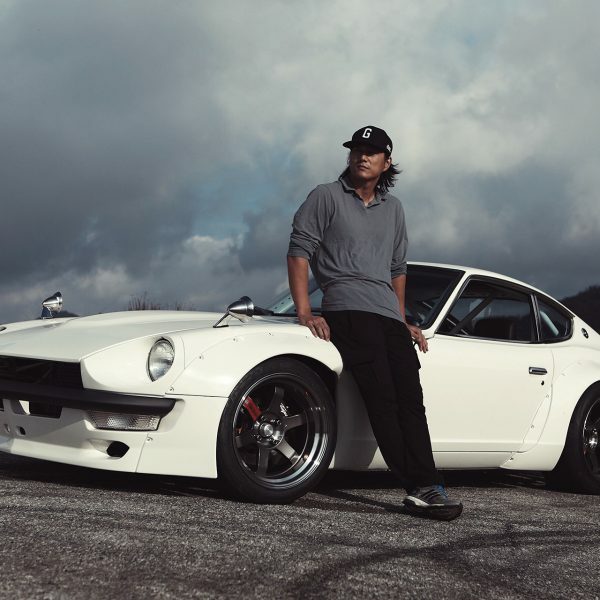 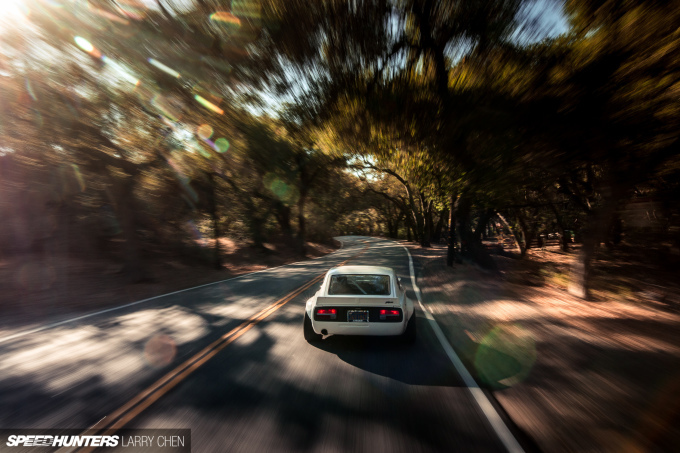 Things really began to take off when Sung took an interest in Kei Miura’s upcoming Rocket Bunny wide-body kit for the Z. That’s when Rocket Bunny distributor GReddy USA reached out to Sung, and before long plans were made for the whole build to be undertaken at GReddy’s facility in Orange County. 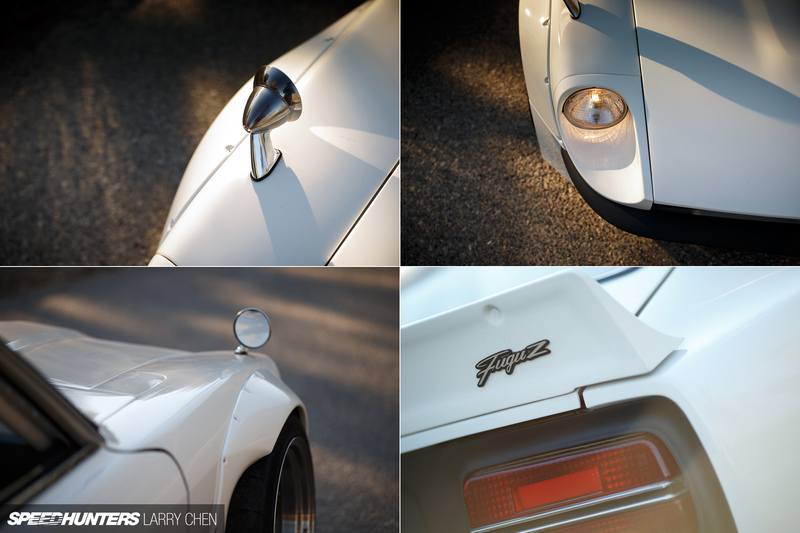 And after months of planning and many late nights at the shop, the FuguZrolled out last fall just in time for its SEMA debut. 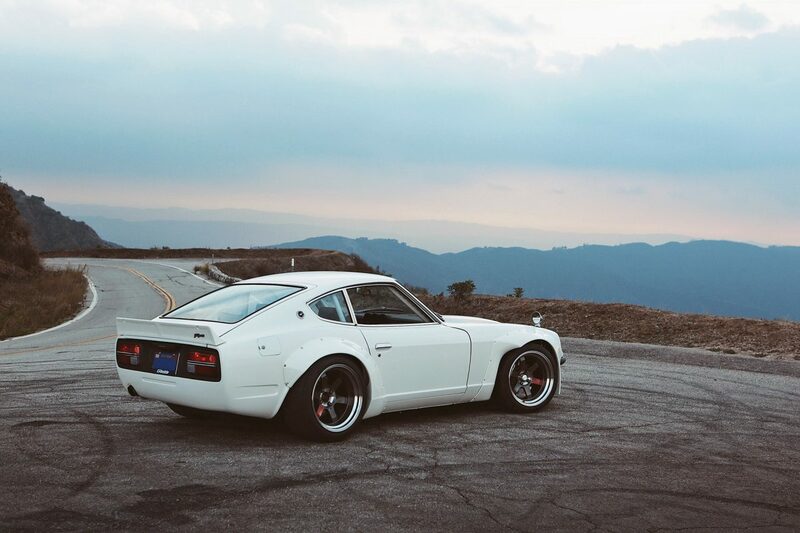 While it wasn’t planned that way from the beginning, Sung’s Z had attracted the attention of the world, winning several awards and creating a huge buzz across social media. 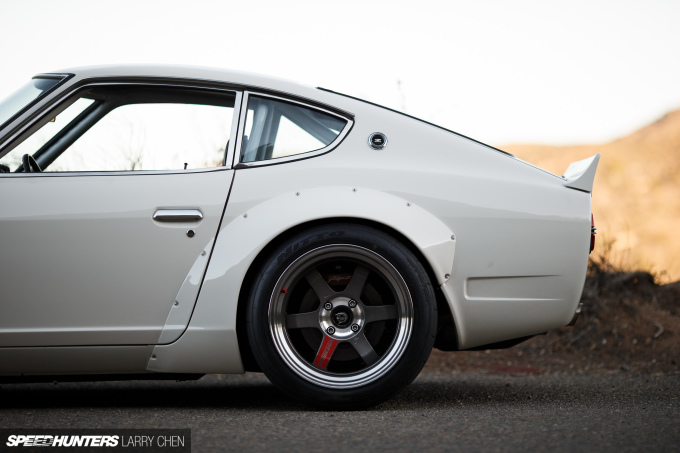 If there’s a unifying theme to the Z, it’s ‘familiar, but different’. 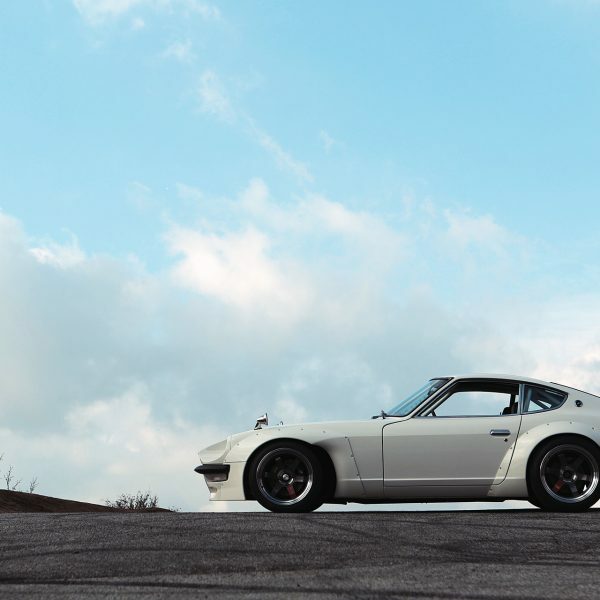 The car is immediately identifiable as the iconic 240Z, but there are new twists on everything from the fully reinforced chassis to the modern body kit, which draws inspiration from the competition S30s of the mid 1970s. 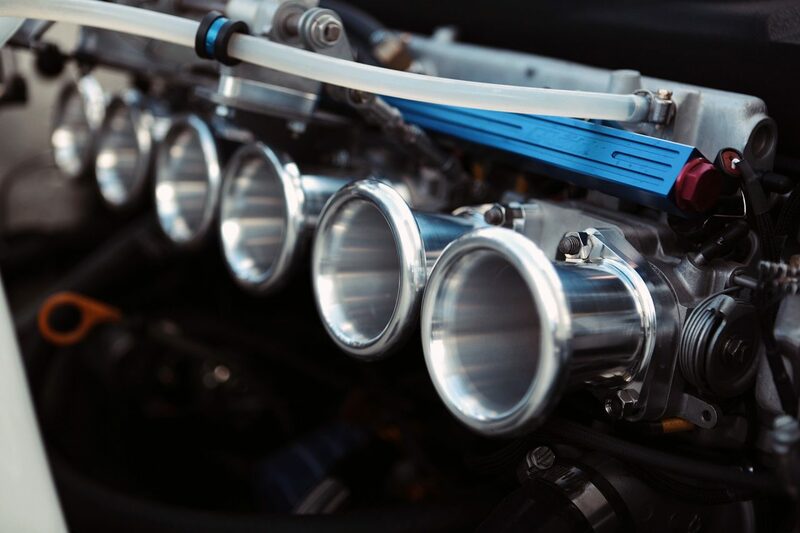 The theme continues under the hood, where you’ll find a naturally aspirated Nissan inline-six just like the car originally had. 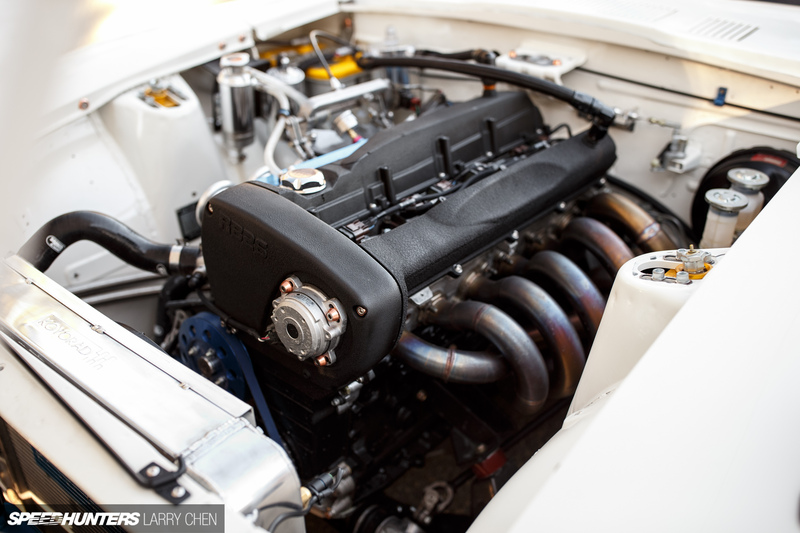 Only rather than the SOHC L24 that powered the Z when it was new, it now has a DOHC, fuel injected, naturally aspirated ‘RB26DE’. 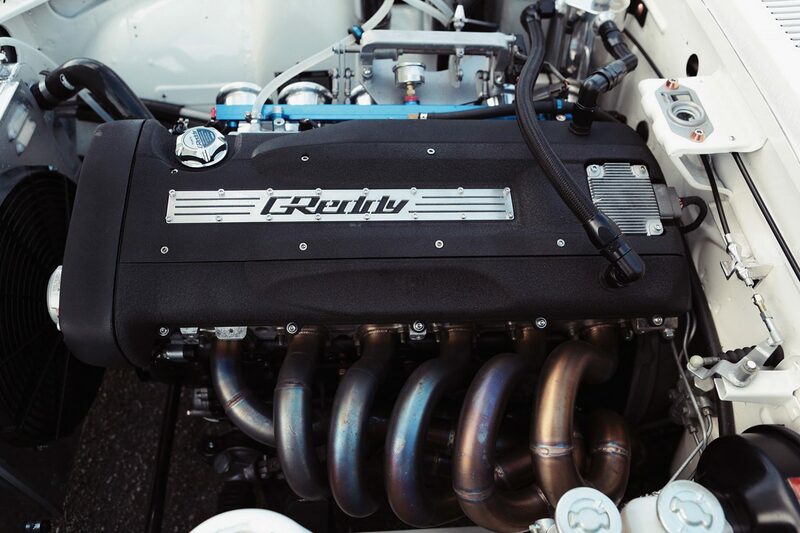 Although this engine configuration was available in the JDM R32 Autech Skyline, the N/A RB26 you see here was created from an RB26DETT GT-R donor motor. 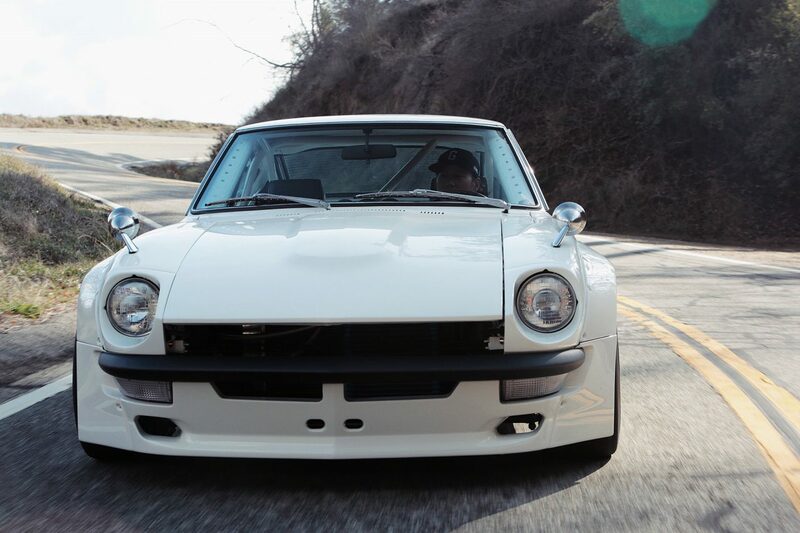 The RB has been fully rebuilt with high compression pistons, a ported head and a set of individual throttle bodies that not only improve response, but give the Datsun a traditionally cool look and sound. 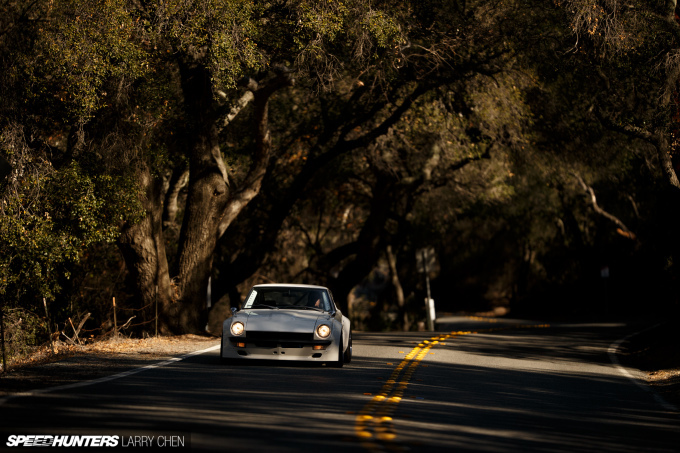 The gearbox is a 5-speed manual which feeds power to an OS Giken LSD mounted in an R200 differential. 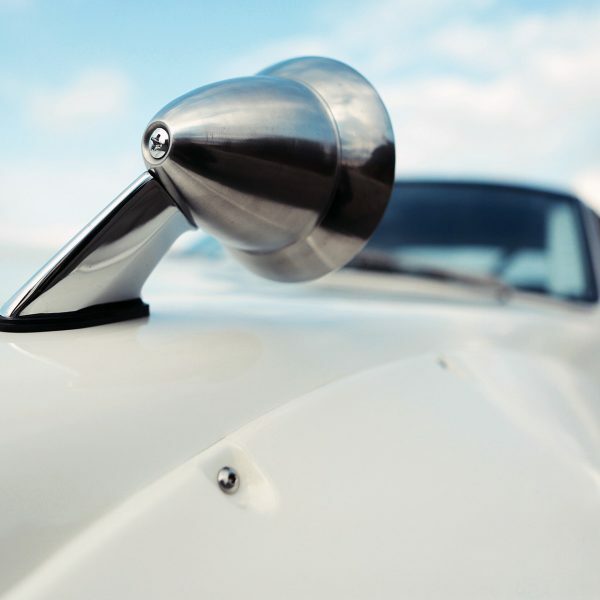 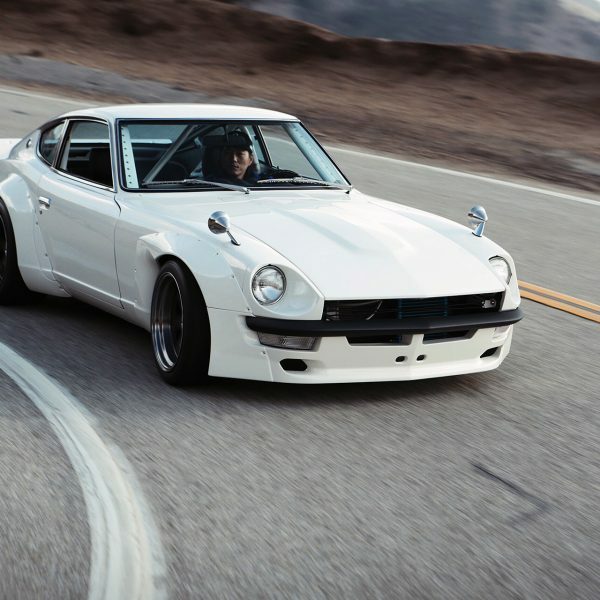 The Z puts down 220 horsepower to the wheels and makes joyous noises as the tach swings toward 9,000rpm. 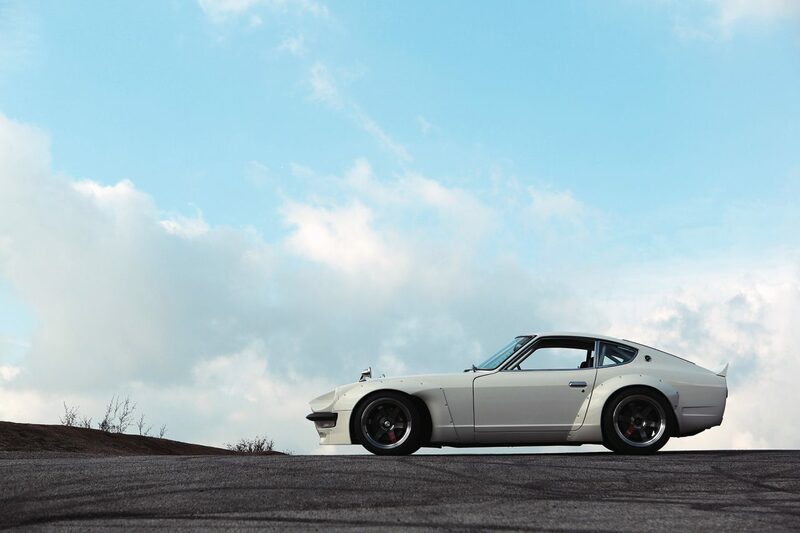 It’s certainly not the fastest S30 in the world, but most would agree it has the perfect amount of power to truly enjoy the car. 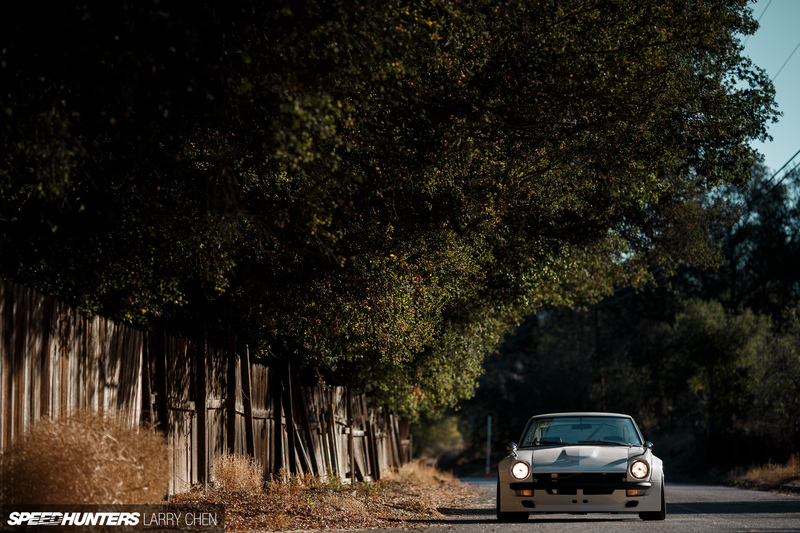 And it’s just as happy cruising on the street as it is being flogged on the track. 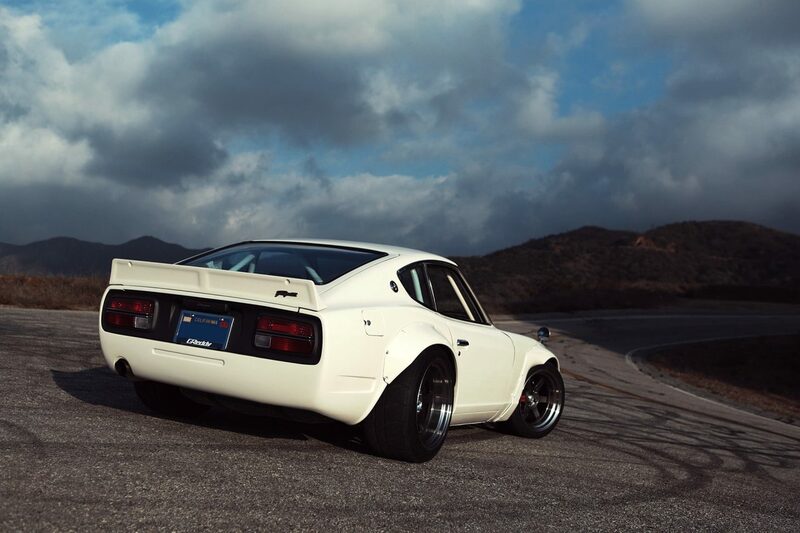 In addition to the chassis strengthening that occurred during the rebuild, the car was also treated to a custom fabricated rollcage. 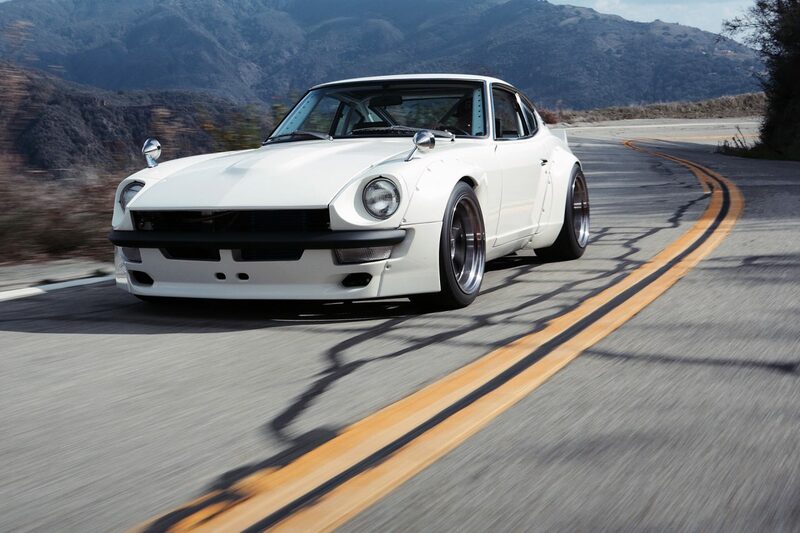 And as for the suspension, a set of fully adjustable coilovers from Techno Toy Tuning help keep the Datsun grounded in the corners and sitting mean. 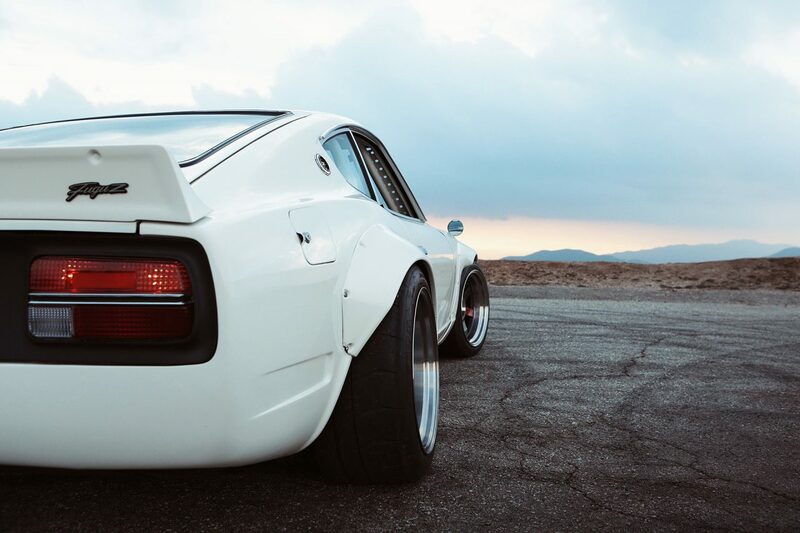 As mentioned a moment ago, the new Rocket Bunny wide-body kit is one of the defining aspects of the build, and the car wears Mr. Miura’s aggressive kit with style. 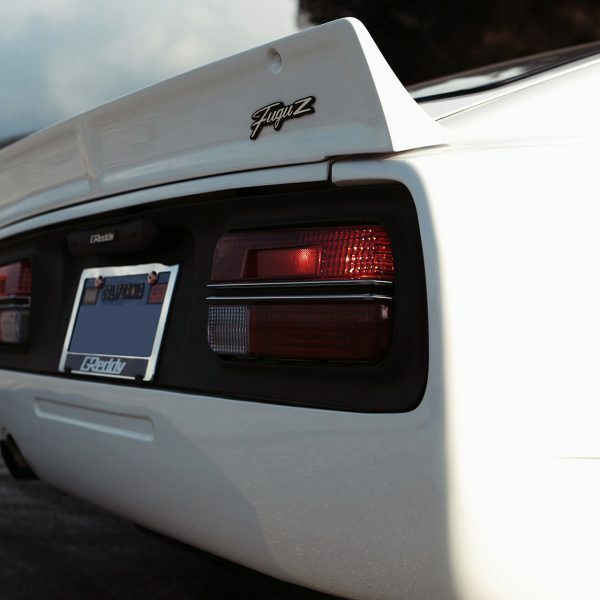 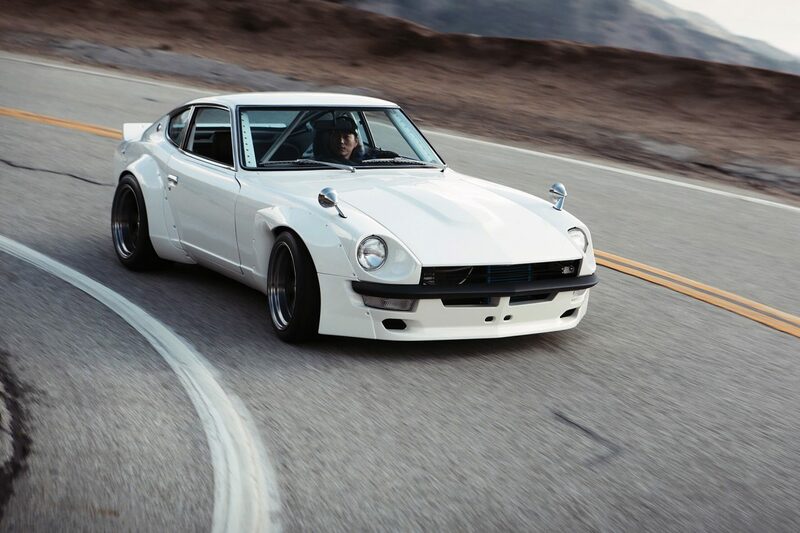 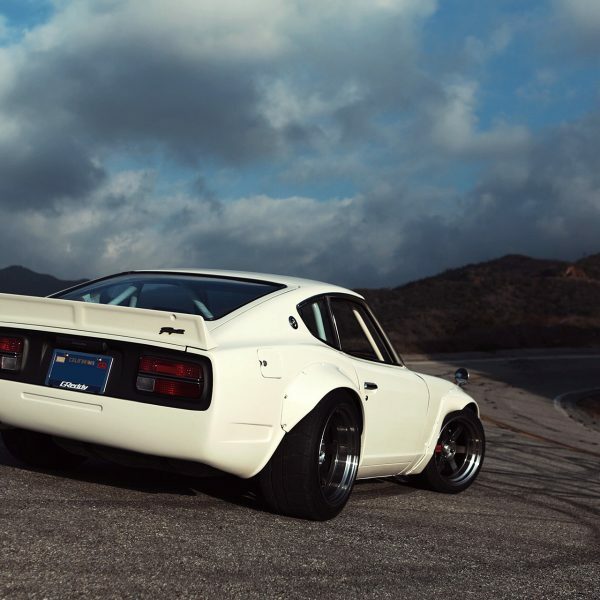 Coated in an original shade of Datsun white, the Z looks aggressive in that ’70s race car way, yet elegant at the same time. 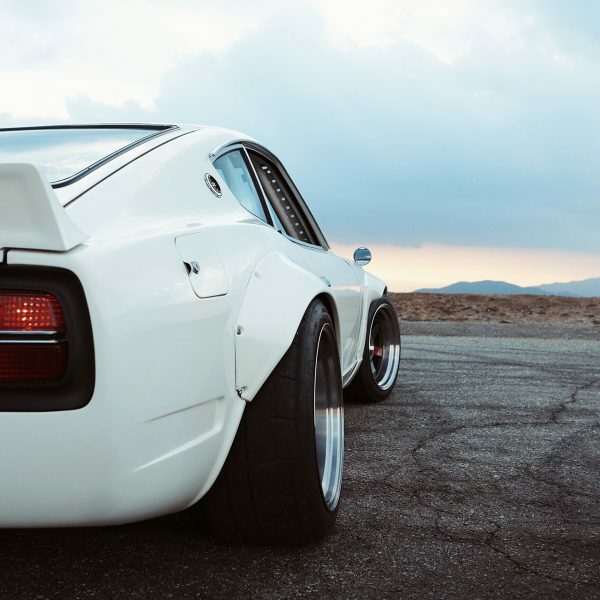 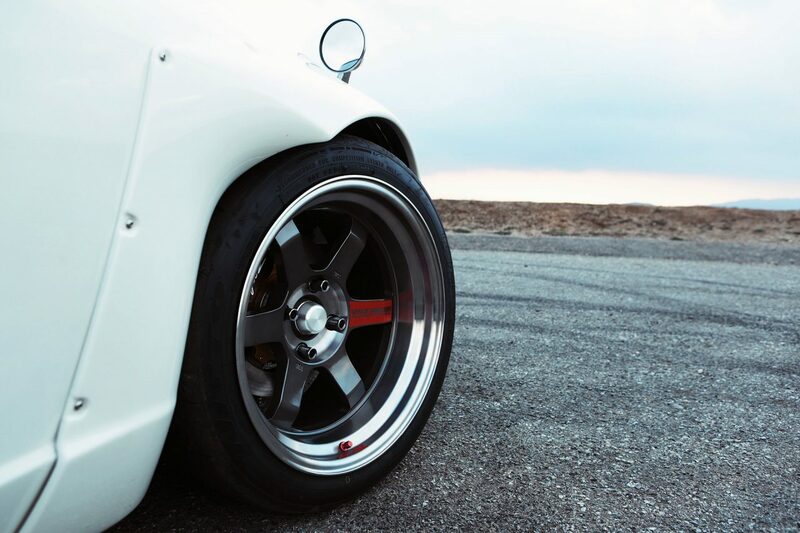 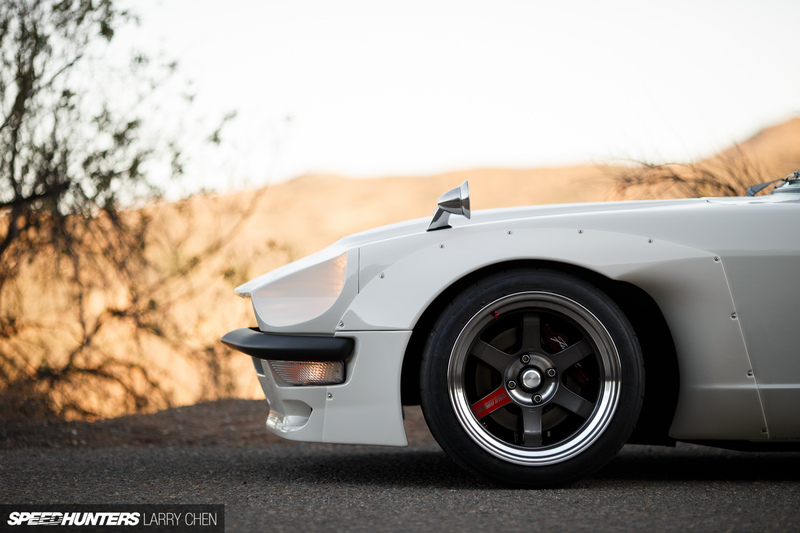 And with the Rocket Bunny kit being such an integral part of the project, the wheels that would sit inside the wide-body fenders were also important. 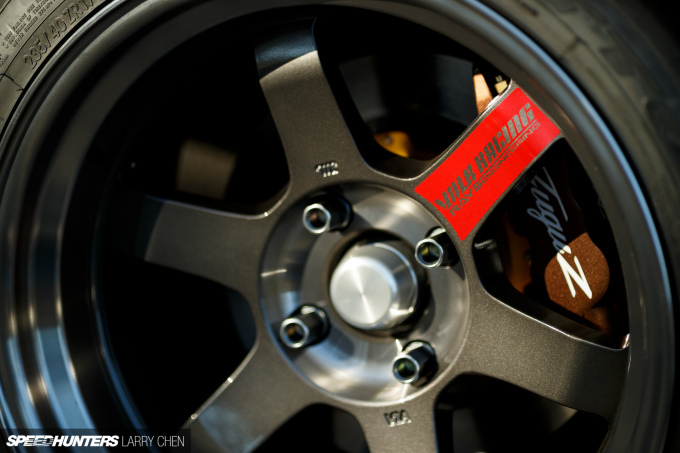 And what better choice than a set of 17-inch RAYS Volk Racing TE37V SLs – a wheel which just like the FuguZ draws its inspiration from the past, while also exhibiting the utmost in modern engineering. 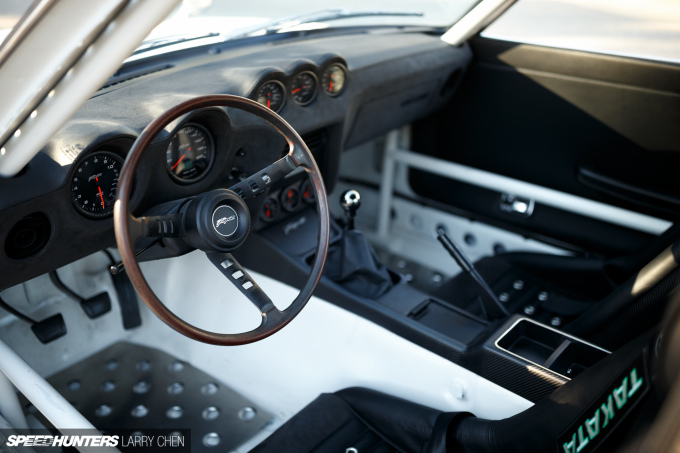 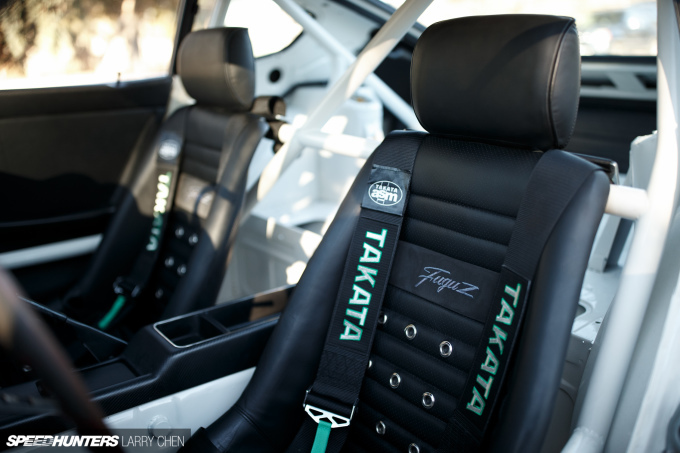 The simple retro-meets-modern theme continues to the Datsun’s cockpit, which mixes contemporary race car with lots of classic style. 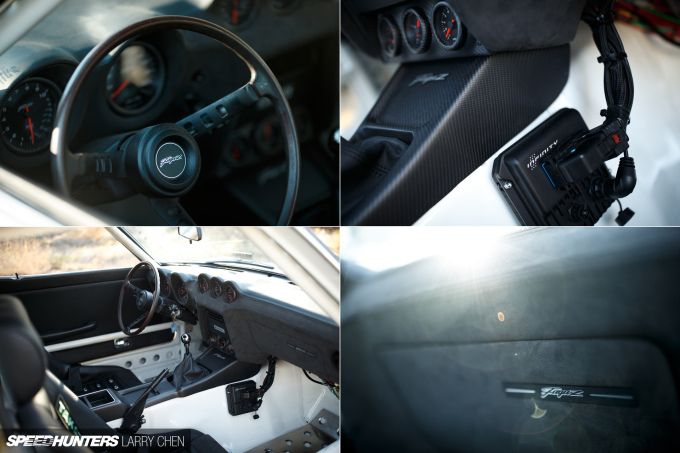 Dubai’s CarbonSignal Automotive provided the parts for the fully custom interior, including the dash, door panels and lovely low-back bucket seats. 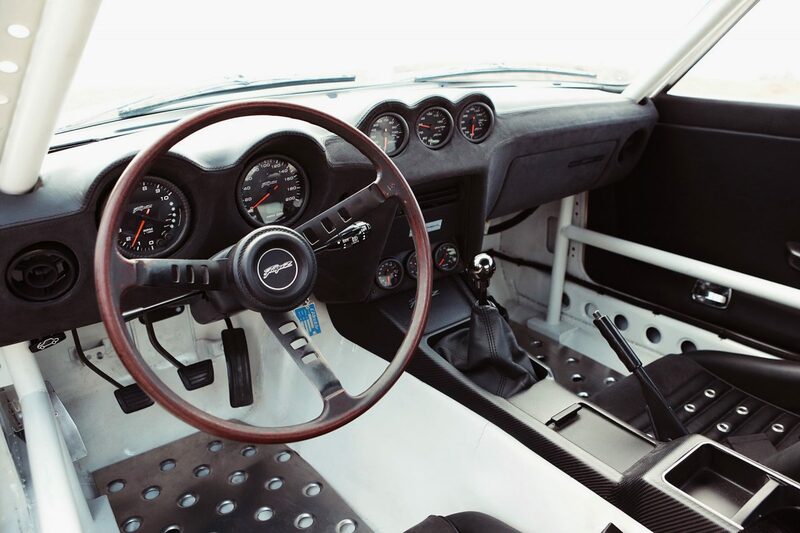 I also quite like how they kept the factory wood-rimmed 240Z steering wheel which is fitted with a custom FuguZ horn button to match the other badging on the car. 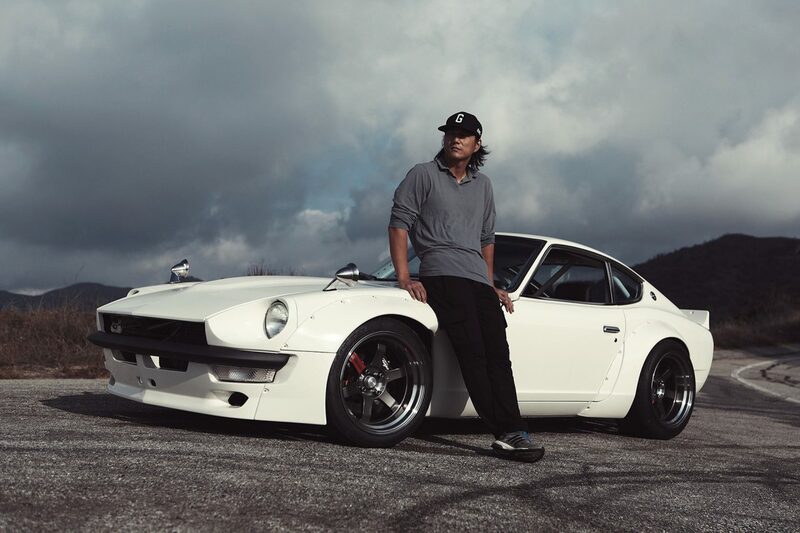 For Sung, the FuguZ journey has been about a whole lot more than just adding another cool car to his garage. 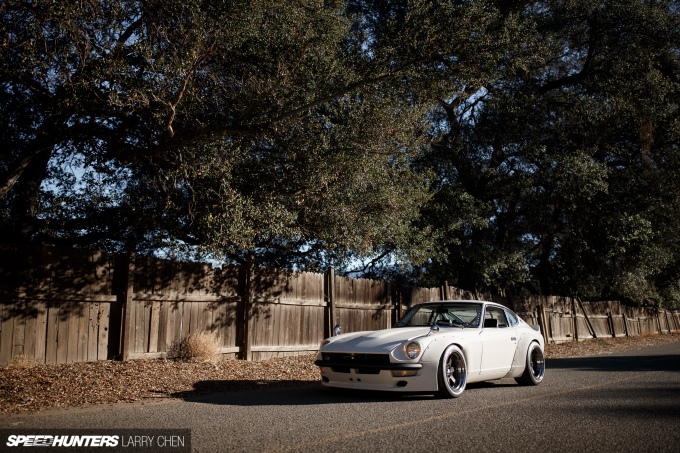 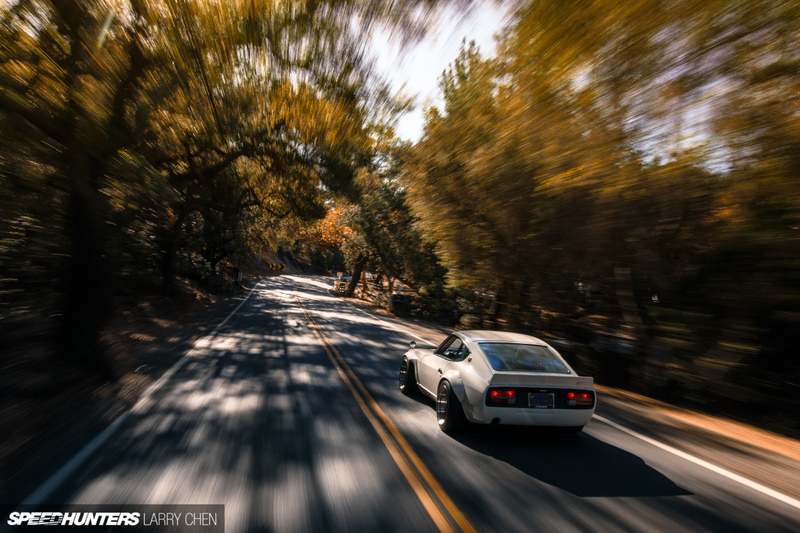 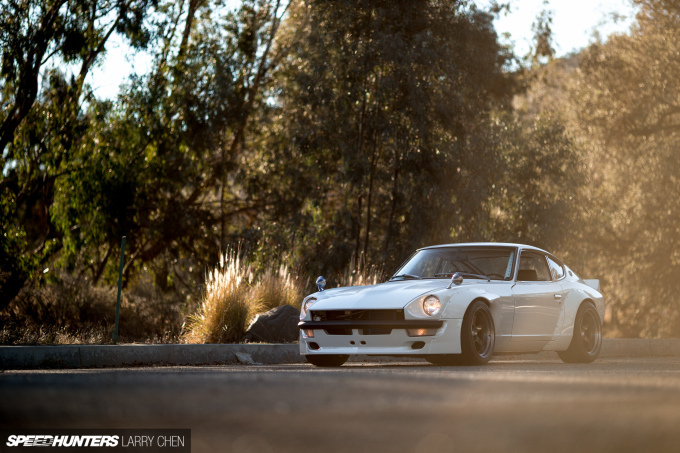 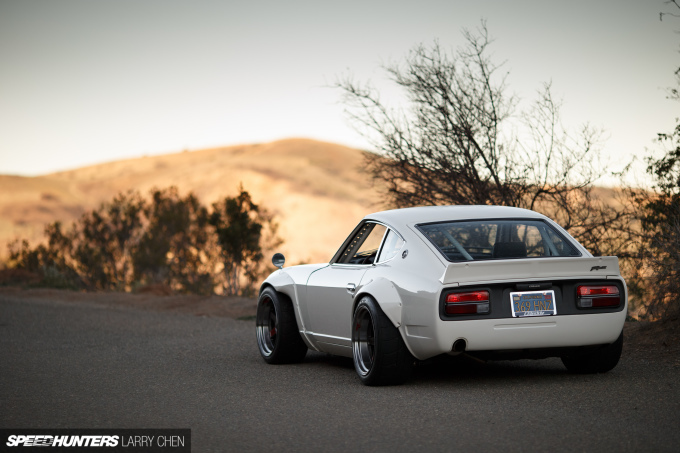 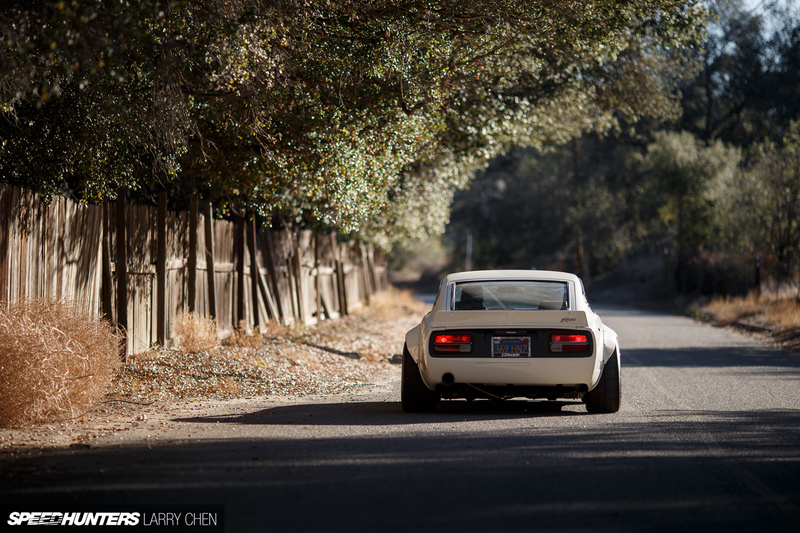 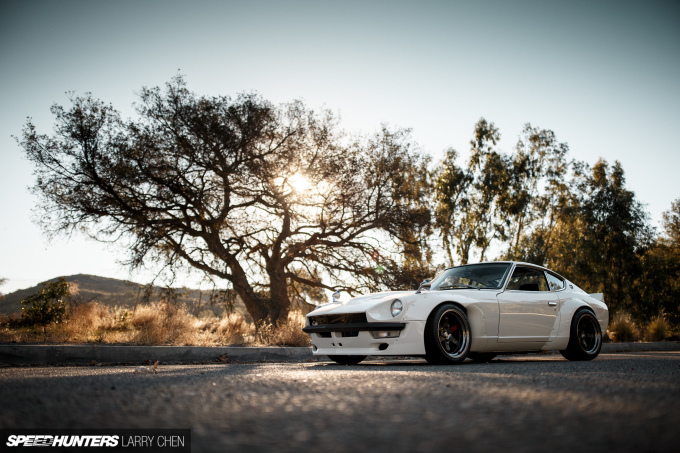 The project has allowed him to meet and connect with people from all over the world, and the built-from-scratch Datsun is something that’s provided him with the kind of satisfaction that you just can’t get from a store-bought supercar. 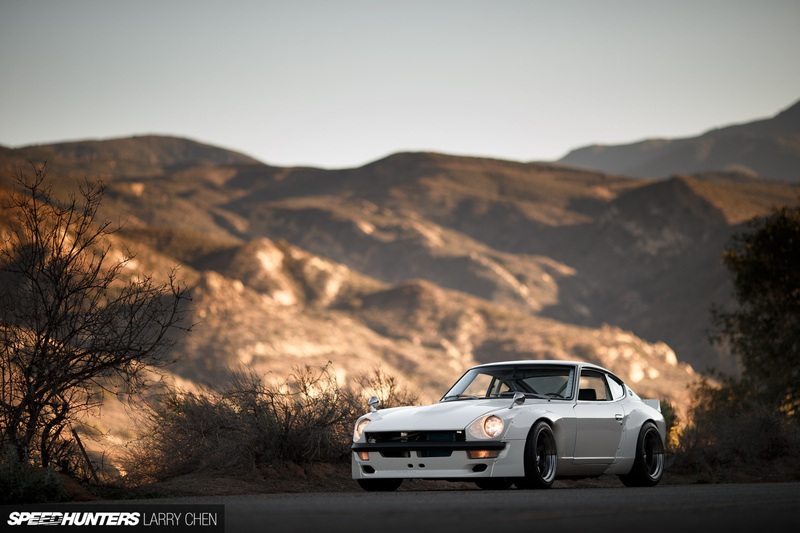 Wrenching, hanging out with friends and building something cool; that’s something that all of us car lovers can relate to, even if we don’t happen to be stars of the silver screen.